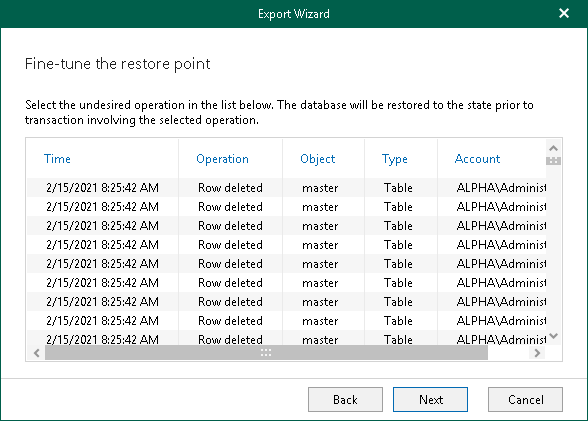 At this step of the wizard, select an operation prior to which you want to export your database. Veeam Explorer for Microsoft SQL Server database operations are listed in the SQL Server Database Operation Selection section. This step is only available if you have selected the Perform restore to specific transaction checkbox at the previous step.